Some doctors are not sympathetic towards fibromyalgia patients. Insurance companies certainly are not. Some people just don't understand what fibromyalgia is, and question whether or not it really exists. Goldfinger Injury Lawyers believes that fibromyalgia is very real and can be very debilitating. It can prevent you from working. I can prevent you from earning a livelyhood. It can prevent you from housekeeping, home making, playing with your children, enjoying in your usual daily acitivies, or all of the above. Our personal injury lawyers have seen with our own eyes how very hard it can be to live with fibromyalgia. Constant pain. Constant fatigue. Low energy levels. Difficulty concentrating. Memory problems. Constant headaches. Difficulty moving around. Difficulty sleeping. Depression. Sadness. Loss of self esteem, dignity and self-worth. Nobody believing you or that you're as hurt or disabled as you say you are. It's a terrible thing to have to live with. Medication doesn't seem to work, or just makes you drowsy or upsets your stomach. It's no way to live. Goldfinger Injury Lawyers has a soft spot for all fibromyalgia sufferers. Let's just say that fibromyalgia hits close to home for our team. That's why we take all of our fibromyalgia claims very seriously, and listen to our fibromyalgia clients very carefully because we know they have lots to say. Whether your fibromyalgia was brought on or exacerbated by a car accident, slip and fall, or has resulted in a denied long term disability claim, short term disability claim or mortgage insurance claim; our personal injury law firm is here to help. 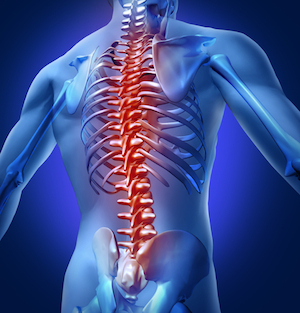 Goldfinger Injury Lawyers works with a cutting edge, understanding and empathetic team of rheumatoloigsts, psychologists, psychiatrists, physiatrists, vocational counsellors and occupational therapists who understand the root and nature of your pain brought on by fibromyalgia. Our personal injury lawyers know that it will take a muti-disciplinary approach both inside and outside of the courtroom in order to establish your claim and get you the results which you deserve. Don't suffer any longer. 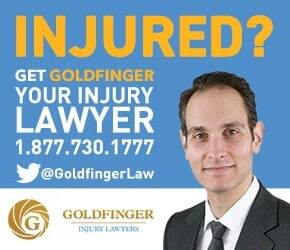 Call Goldfinger Injury Lawyers today at 1-877-730-1777 or email us at info@goldfingerlaw.com for your free consultation with one of our skilled personal injury lawyers. All of our consultations are free, and you don't have to pay any legal fees until your case settles. You have nothing to lose and everything to gain. With offices located in Toronto, London and Peterborough, we are pleased to service victims of fibromyalgia with their claims across Ontario. We look forward to hearing from you and helping you with your fibromyalgia claim as best we can.